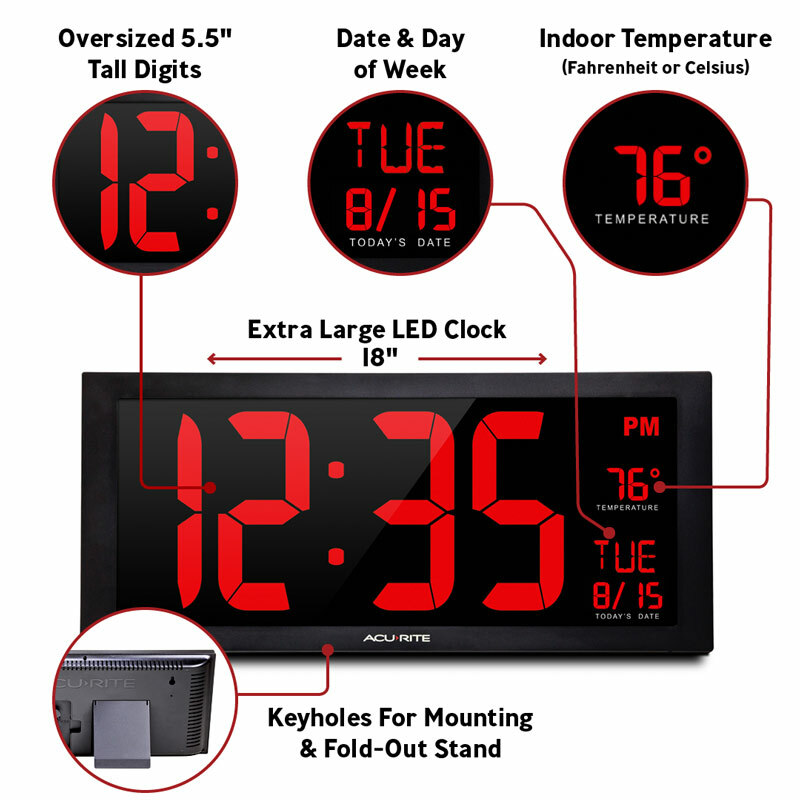 This AcuRite 18-inch Jumbo Digit Calendar Clock is perfect for any home, office or classroom. It's also an ideal calendar clock for seniors who need or prefer larger font sizes. The extra-large LED screen features bold, 5.5-inch tall, easy to read numbers and displays today's date and current indoor temperature. This clock is powered by the included 9-foot power adapter that easily stores in the clock and also features battery backup. Easily wall-mount the clock using the integrated keyholes or sit it upright on a tabletop using its fold-out stand. Choose blue, red, white, or green display. One-year limited warranty. It's more than accurate, it's AcuRite.